A FULLY-LOADED TWO-UP THAT OFFERS ONE-UP SPORT PERFORMANCE. 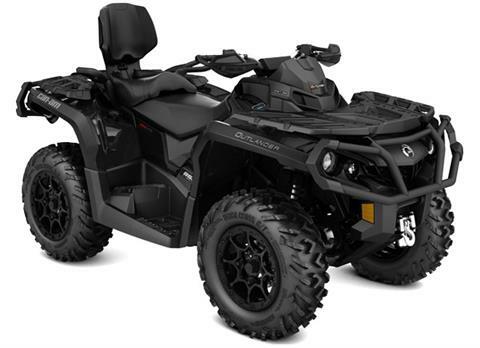 ROTAX V-TWIN ENGINE: Available with the new 89 hp Rotax 1000R liquid-cooled V-Twin engine, with four valves per cylinder and single overhead camshafts, the signature Can-Am engine lineup offers unmatched power for a true performance edge. CONVERTIBLE RACK / SEAT SYSTEM (CRS): Takes the Outlander MAX from one-up to two-up in a matter of seconds. 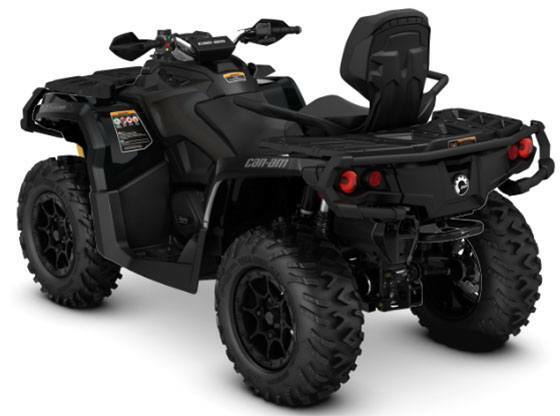 Gives you plenty of storage in one-up mode and unmatched comfort and convenience for your passenger when riding two-up. FOX† PERFORMANCE SERIES 1.5 PODIUM† QS3 SHOCKS: These new high-performance front and rear FOX† PERFORMANCE SERIES 1.5 PODIUM† QS3 shocks allows riders to easily dial-in their suspension setup tool-free. Through a 3-position knob, suspension can be adjusted to give a smooth and comfortable ride. Turn the knob up one position to get a more sporty behavior or go to position 3 to get that high-performance race-ready suspension.